An Englishman in Colombia: The West moves South! 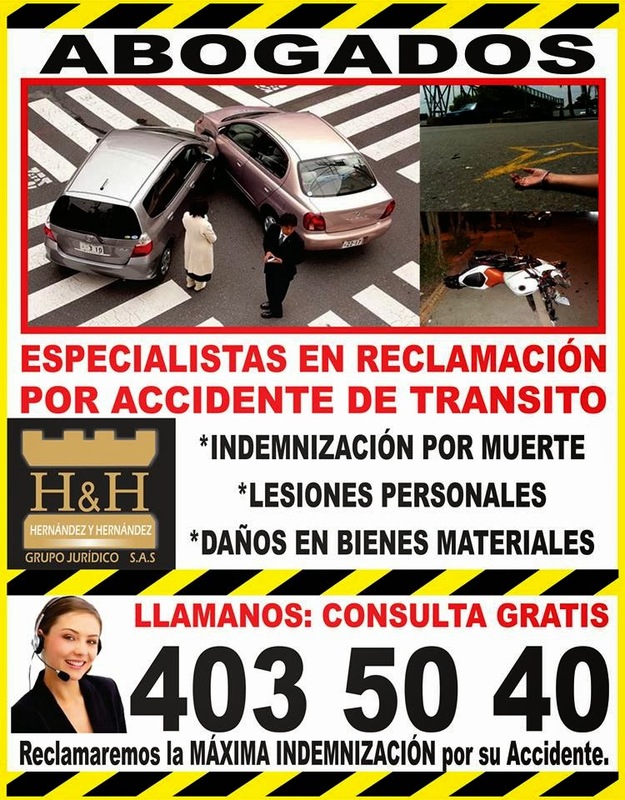 I was having my usual troll of the FaceBook content this morning when I did a double take, for there for all to see was an advert by 'Ambulance Chasers', they have finally come to Colombia, Solicitors that will make a claim for you, if you are involved in an accident. I think this is going to change the Insurance industry here, until now many vehicle owners, only have the compulsory SOAT insurance, but not the insurance that covers the vehicle itself and people in their own vehicle, any claim has been sorted out between the parties involved. For all that I hate Ambulance Chasers, this move may well be a good thing, because, the more people that take out insurance, the lower the premiums...hopefully! and maybe the introduction of the no claims bonus, which doesn't exist here in the form we know it in Europe. It will certainly hit the average vehicle owner hard because, they have trouble coming up with the money for the compulsory insurance, never mind something to cover them from claims such as this. My bike insurance is twice what I was paying in Europe, and my income is ten times the minimum salary, so on that basis, you can see the problem people are going to have, it could even impact on their homes, if they can't pay. The current system of cash, changing hands at accident sites, has worked, but with the introduction of this business to the Country, I can see that the same will happen as elsewhere, staged accidents, and that will be costly.